Figure 15.26. Thrombosis of the caudal vena cava. 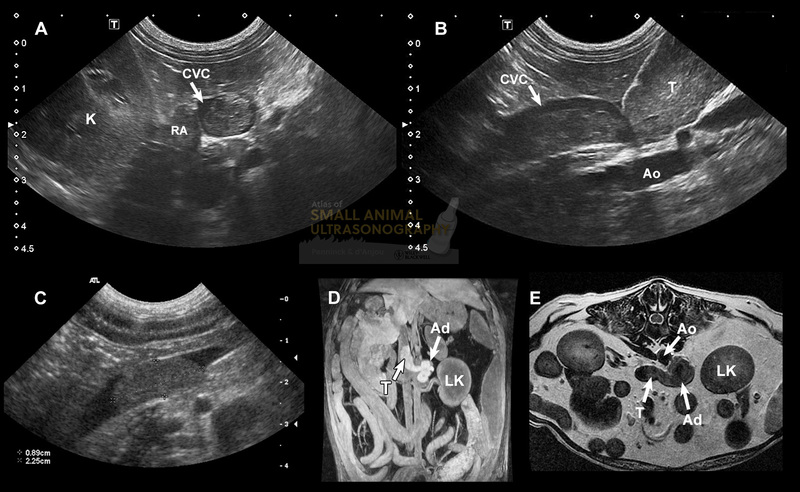 A-B: In this dog with renal adenocarcinoma, there is an echogenic thrombus filling most of the venous (CVC) lumen in transverse (A) and longitudinal (B) planes. More caudally, it extends into the right renal vein that is markedly distorted by the malignant thrombus (T). K, right kidney; RA, right adrenal gland; Ao, aorta. C-E: In this other dog with adrenal adenocarcinoma, a thrombus (between cursors) is detected in the CVC. This thrombus is associated with contrast enhancement in dorsal SPGR MR image (D) and extends into an abnormal left adrenal (Ad). 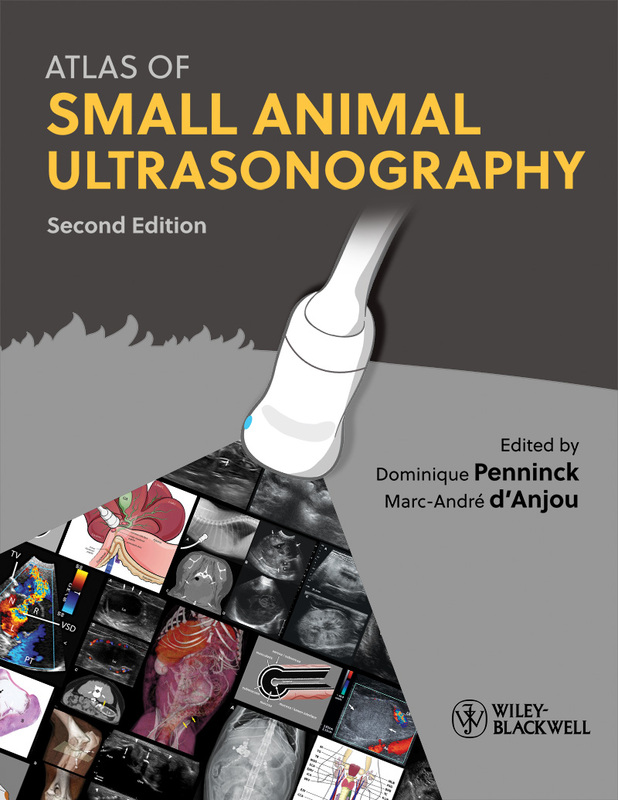 The transverse T2w MR image (E) shows the connection between the malignant thrombus (T) and the left adrenal (Ad) through the phrenicoabdominal vein, just ventral to the aorta (Ao).